We seem to have a sore spot with tubs, and the duplex renovation has proven to be no exception. 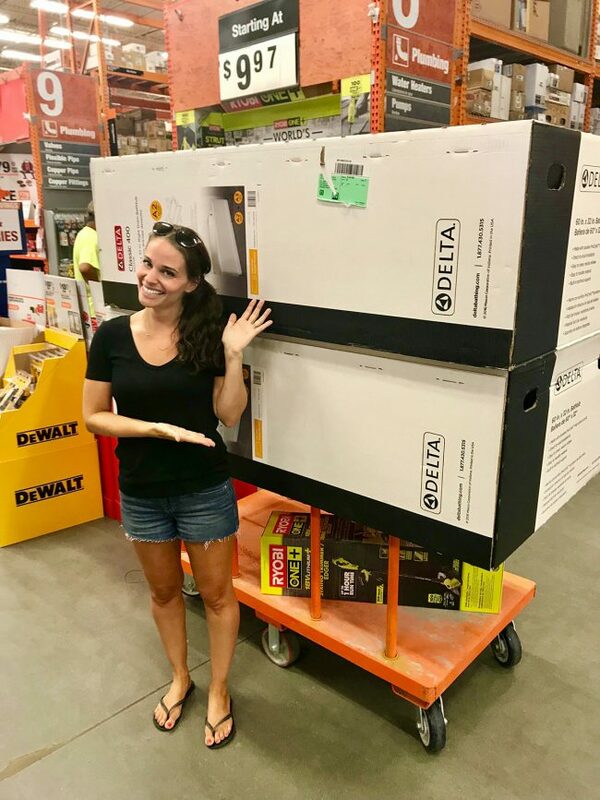 So today we’re sharing how a strategic money-saving decision saved us 30% off a huge renovation line item, but sent us on a tub-induced stress spiral. 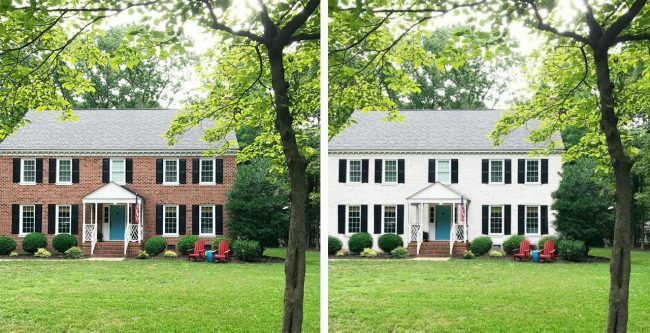 We’ve also got some exciting updates about painting our brick house white, our gross backyard experiment to keep the deer from eating our plants, and whether Sherry is still known as Laura in Cape Charles. 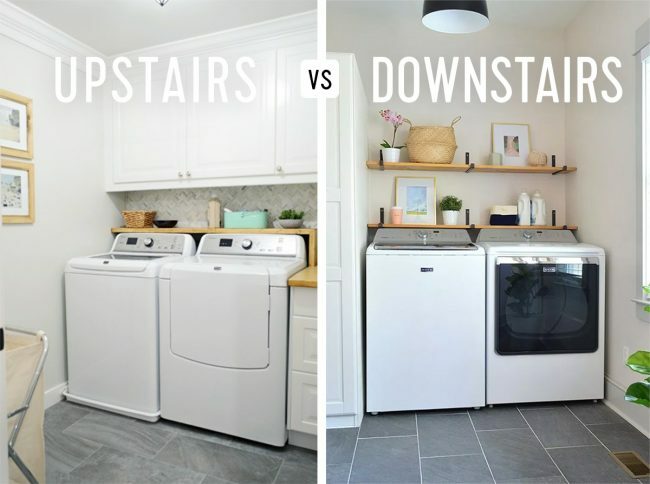 We dive into the pros & cons of laundry location too – plus we explain when to choose a variety of wall colors for your house (and when one whole-house color can actually work like a charm). 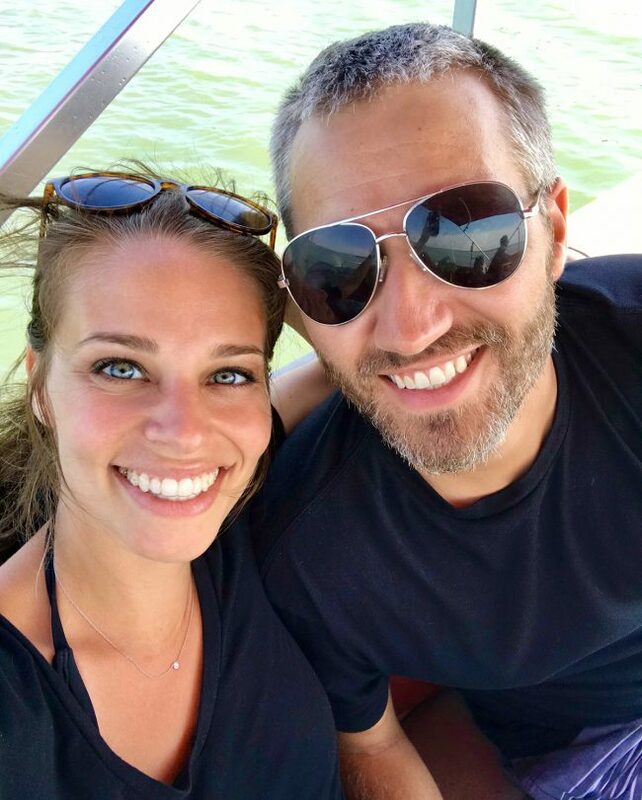 You can download this episode from Apple Podcasts, Google Podcasts, Stitcher, TuneIn Radio, and Spotify – or listen to it below! Then use this page to check out any links, notes, or photos we referenced. Note: If you’re reading in a feed reader, you may have to click through to the post to see the player. 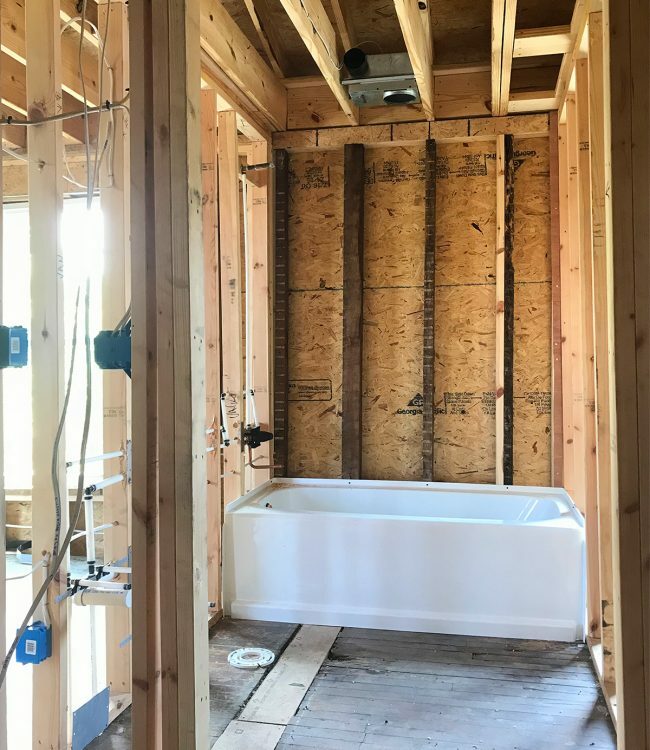 That’s a shot of one of our tubs in place, which – along with the rest of the plumbing – got installed relatively smoothly despite all of the stress and planning ahead of time. 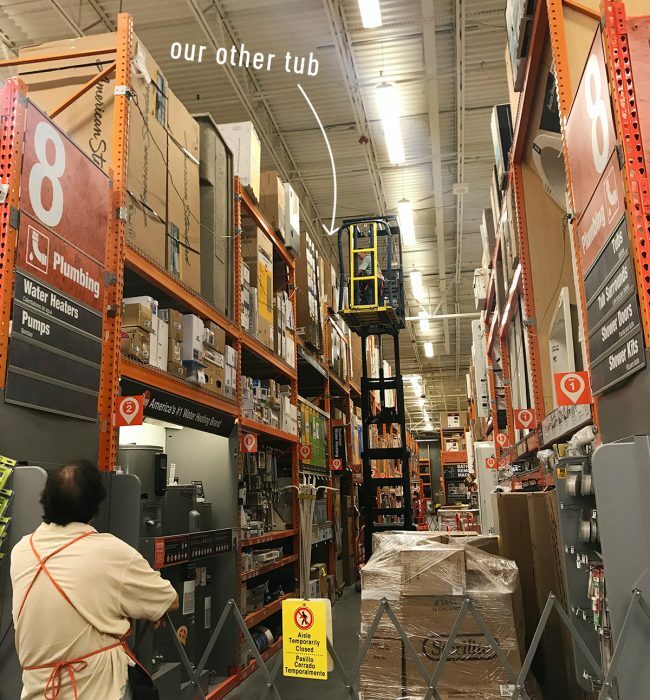 Below is a photo Sherry took as they retrieved our second tub from the very top shelf at Home Depot. I’m so impressed she spotted it up there! By the way, the tub we chose was the Delta Classic 400 since it had a relatively straight front (not too weird and curvy) and was a good price. And of course, the victory photo of having successfully procured both tubs. It cracks me up that Sherry had Sean take this photo. If you missed the original discussion (and poll!) 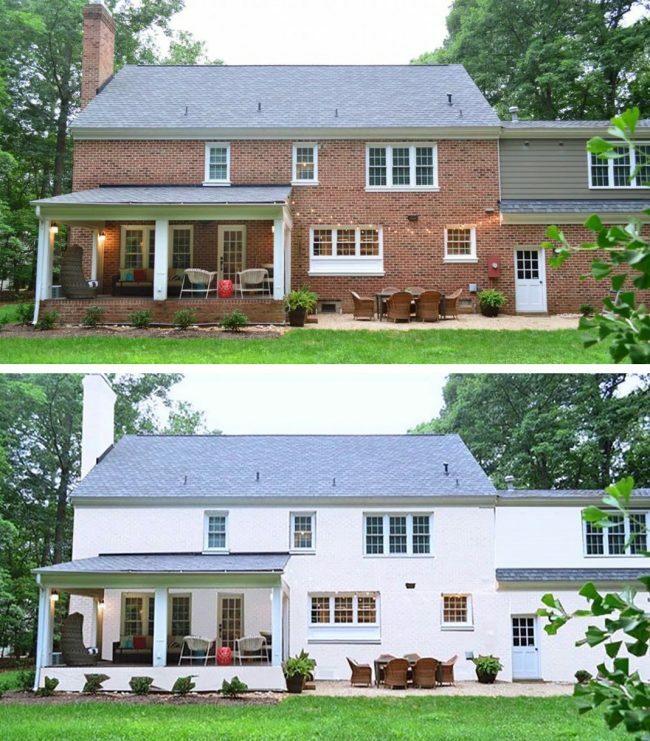 about painting our brick house white, you can catch it in Episode #101. And below are some of the renderings we received that helped sway the polls on Instagram. Also, this is the paint we’re planning to use: Rombio BioDomus II Mineral Paint. The warranty and the difference from normal paint is really compelling to us. More details to come once we get further along in the process! If you missed the discussion of our gross “experiment” in the backyard to save our new landscaping from the deer, you can hear that in Episode #99. 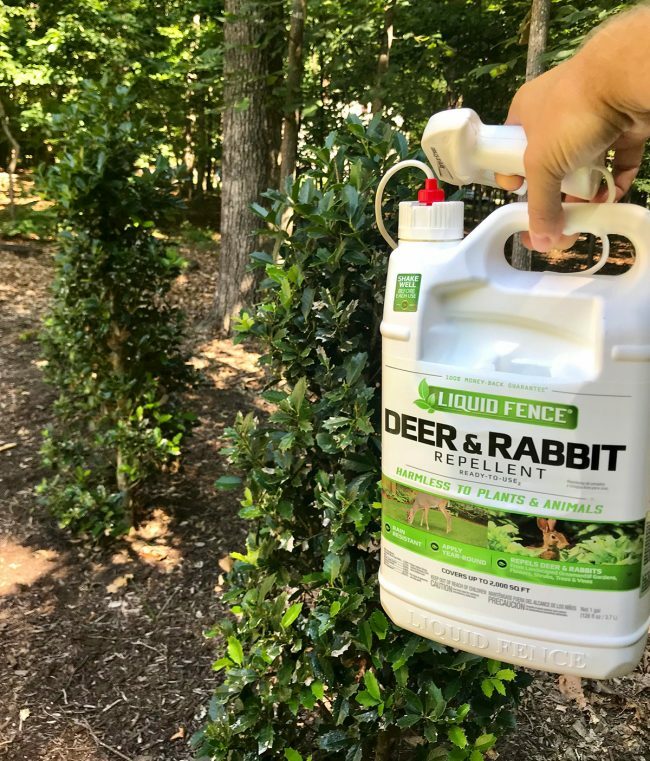 Now we’re in our third week of using Liquid Fence and we haven’t seen any signs of deer nibbling. They suggest you apply it weekly for the first two weeks, then once per month. We’ve done it weekly for the first three and this big jug still has some putrescence left in it! And of course, if you want to hear the original story of Sherry being called Laura, it’s in Episode #59. It’s a personal favorite of mine. Pictured above is our upstairs laundry room at our home in Richmond, and our downstairs laundry area in the mudroom at the beach house. And as promised for Debbie, below is a poll about which laundry location you prefer (not necessarily which one you have – since we know there are a lot of other laundry situations out there like garage or basement locations, which seem to be less coveted). Sherry also thought it was worth asking a slightly tweaked version of that question – with the beach house scenario in mind -to see how much the results changed. You know, where sandy feet and towels may be more prevalent than in your typical home. That fact certainly changed our preferred location. Like we described in the episode, part of the decision was just practical. We painted – and repainted! – our Richmond house ourselves over the years, but we contracted painters to paint the beach house all at once as part of that reno. 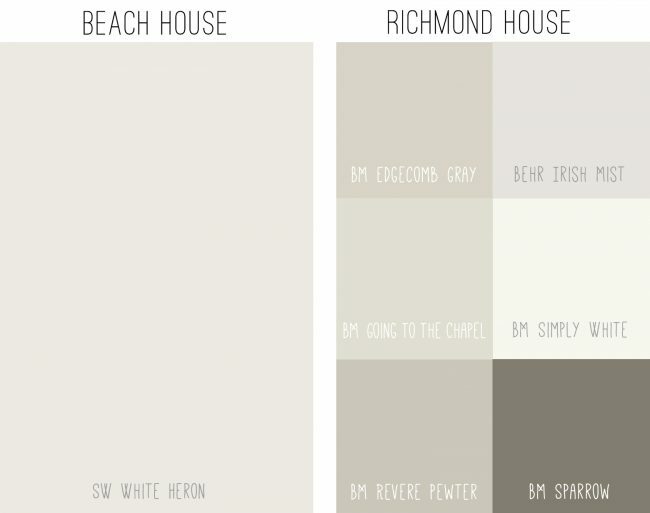 If we were doing our Richmond house all over again, we’d probably use fewer colors, but we don’t regret the variety, especially since it helped us land on some of our favorite neutrals. 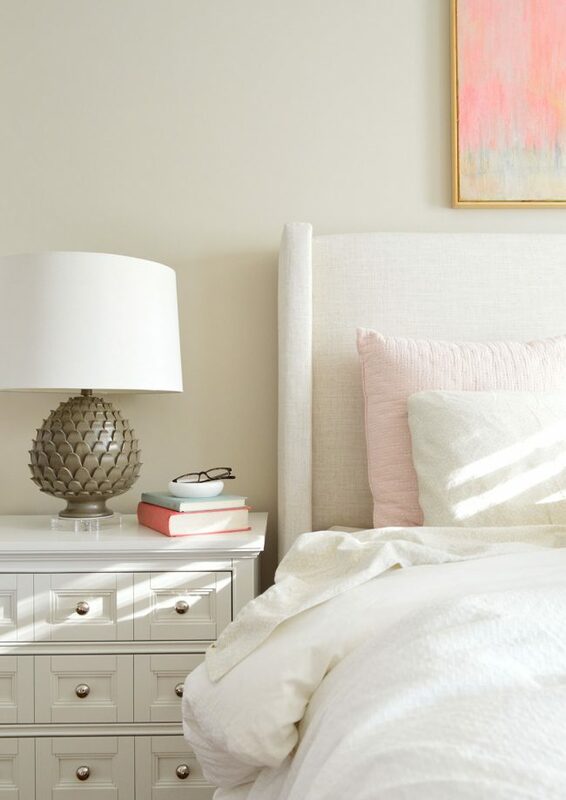 We use Benjamin Moore’s Edgecomb Gray in a lot of the spaces that get great natural light, like our master bedroom (below), office, dining room, and foyer. 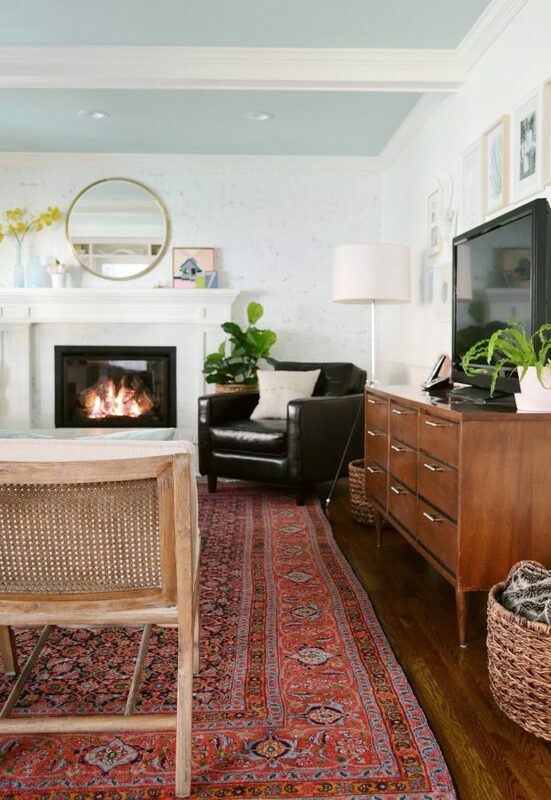 But we found a slightly lighter and cooler neutral like Behr’s Irish Mist worked better in rooms on the back of our house that get less sunlight – like our bonus room (below) and kitchen. The other colors shown in the grid above are more one-off colors. Ben Moore’s Going To The Chapel is in our son’s room and laundry room, Simply White is in our living room (below), Revere Pewter is in our master closet, and Sparrow is a dark accent color in our guest bedroom. 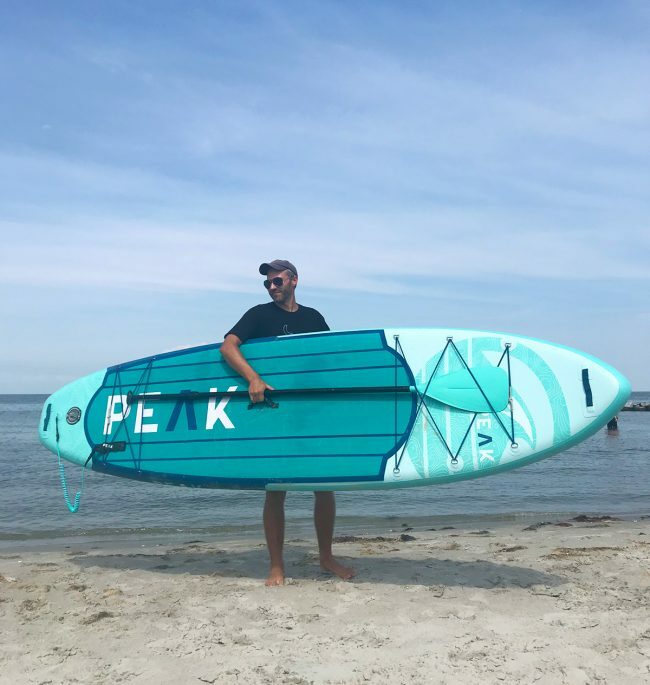 This is the inflatable stand-up paddleboard that I got for Father’s Day that we’ve been using the heck out of this summer. 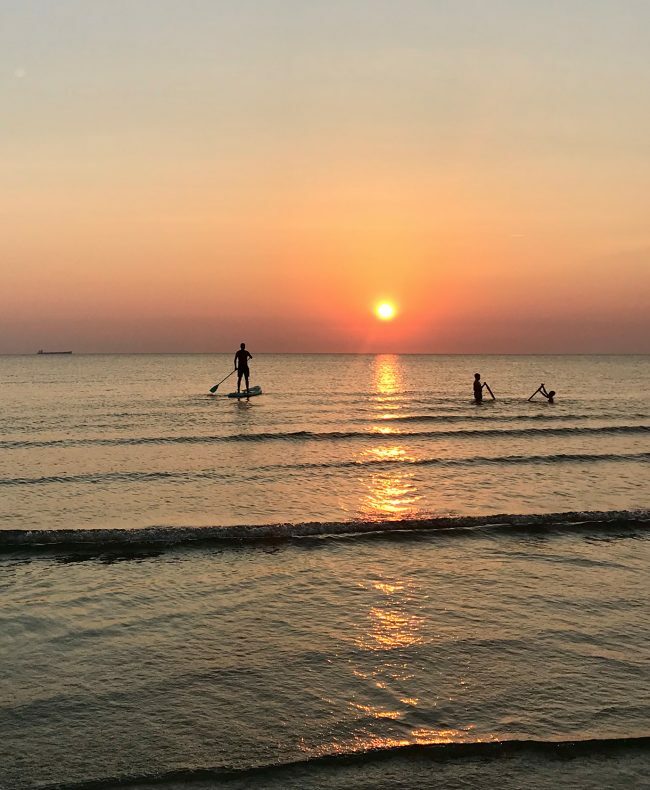 My favorite is when we all steal away to the beach around sunset and get to take wonderfully clichéd pictures like the one above. 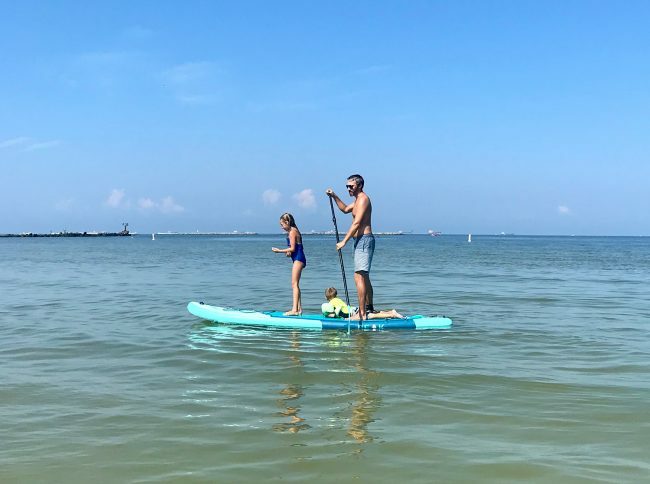 Our SUP is 11-feet long and there’s a slightly cheaper 10.5-foot version, but since the 11-footer is the one we tried first-hand on that fateful Father’s Day, we trusted it better. Plus, since the water is super shallow and calm (this is the bay, not the ocean), I often have extra passengers with me! I also strongly recommend grabbing the electric pump. It’s a LIFESAVER. It plugs right into the 12V charging port in your car (which I apparently still call the cigarette lighter) and it automatically shuts off when you’ve reached your desired PSI. Maybe this week I’ll try to Instagram a video of us inflating and deflating it so you can see how it works. And lastly, a big thank you to Grove Collaborative for sponsoring this episode. You get a free Mrs. Meyers Cleaning set and a 2-month VIP membership when you sign up at Grove.co/YHL and spend your first $20.